Italian TV viewers under fifty of age do not like history transmissions, which remind them of their school years, they much prefer soccer, quiz and serials so that commercial channels have long given up broadcasting programmes dealing with past periods. On the contrary, R.A.I.-TV, Radio Audizioni Italiane-TV (Italian Radio Hearings-TV), public radio and television network, gives much room to history; original programmes are put in the air by two channels, R.A.I. 1 and R.A.I. 3 and are then relayed on a special channel, R.A.I. Storia (R.A.I. history). The motives of this policy are twofold. On the one hand the R.A.I. management considers that it is the responsibility of a state medium to provide its audience not only with entertainment and sport but also with “cultural” productions. On the other hand young and middle-aged people spend more time interacting on internet that watching the small screen, while the elderly prefer their TV set to which they are accustomed and appreciate historical transmissions for contradictory reasons, either because they distract them from a gloomy present, or because they help understand why the present is distressing. Thanks to history R.A.I. reckons entice the seniors. Exploring the past is in the best tradition of the R.A.I. La grande storia in prima serata (The great History in prime time) was long one of the most appreciated broadcasts of the network. It touched on with huge topics, Nazism, Stalinism, the First or the Second World War, and skimmed brightly over them. Considered superficial and pompous in its comments, the programme was replaced by a less ambitious, better-documented transmission, Il tempo e la storia (Time and History), introduced by a young lady, Michela Ponzani, who wanted to show how cotemporary historians, instead of expressing peremptory statements, try to take apart what is reliable and what is hypothetic. It was the first time that a woman was in charge of an important history programme, she was violently attacked under the pretext that she confused the audience and was dismissed. History programming has been drastically modified in September 2017. Passato e presente, www.raistoria.rai.it/articoli-programma-puntate/passato-e-presente/38524/default.aspx, (Past and Present) has substituted Il tempo e la storia. The introducer Paolo Mieli, is a well-known politician, for quite a while chief editor of the Milan Corriere della sera (Evening Mail), one of the most important Italian newspapers. Tackling vast questions, he invites every time a professional historian and three post-graduates, consults them but often replies in their place and imposes his own conclusion. This demonstrates that the appointment of TV anchor-people is not a neutral affair depending upon the candidates’ abilities but is also a question of political connections, acquaintances, personal influence and machismo. Other, less important programmes deal with the life or deeds of individuals (Italiani, Speciali Storia, Sopravvissuti), anniversaries (Il giorno e la storia, TV Storia), ancient and medieval history (AC, dC [Before Christ, after Christ]), or re-diffusion of TV news and documentaries that, with the passing of time, have become documents on past epochs (Costellazione). Old programmes such as Il tempo e la storia, La storia siamo noi, Mille papaveri rossi are also re-used when they illustrate an on-going issue as is the case with the fiftieth anniversary of 1968. Photography and film have radically modified our approach to the past, if they do not show it “as it was”, they duplicate faithfully some of its aspects. Before the middle of the 19th century our representation of people, events, and landscapes is entirely the fruit of our imagination. We can draw horrific scenes of tortures, of burning at the stake, of death executions but there will always be, in our sketches, something artificial that make them bearable. Mathew Brady’s pictures of the American Civil War catch the violence and cruelty of the fights, looking at them we are compelled to feel the sufferings of dying wounded, while our idea of the conflicts, disasters, epidemics that took place earlier is abstract and less disheartening. At any rate, our knowledge of the past is shaky, incomplete so that older times seem less harsh than our present. 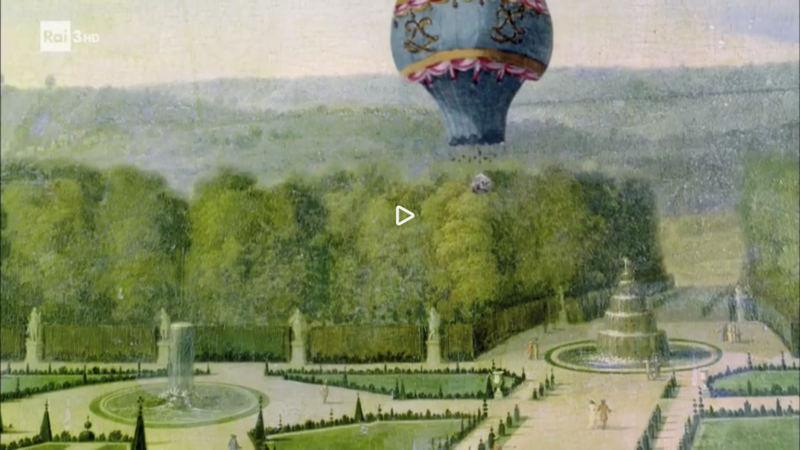 A good example of the diversion effect produced by a distant occurrence is the programme on Napoleon II transmitted the 9 April in the series Speciali Storia. Napoleon’s son was a weak boy, tubercular, badly regarded at the Vienna imperial court where he had migrated with his mother, who died when he was twenty-one of age. Historically speaking he was a non-entity, information about his short life is scarce, but the R.A.I. painted him as a romantic misunderstood by his contemporaries, an unlucky man who could have been imperator but was victim of a plot against the Bonaparte. Comments pitying the young prince flourished on Facebook, all spectators agreed, there was nothing to be discussed. Most escapist programmes are short and skim over large periods of ancient history (The Phoenicians, the Persian conquest and Alexander the Great in the second week of April) or uncommon events. However, there are exceptions to such superficial way of evoking gone by days, R.A.I. 3 puts also in the air Ulysses, (www.raiplay.it/programmi/ulisseilpiaceredellascoperta/ e www.facebook.com/ulisserai3/), a two-hour transmission, scheduled on Friday evenings, which confines itself to past epochs but evidences theoretical problems that historians have to face. Different though they are the programmes broadcast the 7 and 14 April convey perfectly the spirit of the series. The first (7 April) focused on one of the most famous Italian novels, I promessi sposi (The engaged couple) published in 1827 by Alessandro Manzoni. In the seventieth century Lucia and Renzo are about to get married but the rich, powerful don Rodrigo, in love with the girl, prevents the wedding. The lovers are obliged to run away, they are separated. Yet, after many ups and downs, they meet again and get married. The story would be a mere melodrama if Manzoni, knowing well the documentation relating to the period, had not carefully located his fiction in its historical context. The book has been adapted many times to the silver and the small screens. Ulysses, having recourse to the 1988 TV version, aims at showing that Manzoni’s vision of the seventieth century Lombardy is accurate and can still tell us something about this epoch. The production is cleverly planed to hold spectator breathless during two hours, the presenter intervenes personally, asks questions, raises objections, unearths documents and comments them. Following the fugitives, the broadcast describes the Milanese region, its inhabitants, its resources and its problems providing thus the audience with an entertaining history lecture, which is also a close analysis of a novel that many spectators had not read since their school time. The first programme mixed history and literature. The second (14 April), titled Il piacere del corpo (Pleasure of the body), joined history and anthropology in an attempt to demonstrate that history can no longer be a mere chronologically ordered account of the past. The broadcast aimed at showing a specific, permanent feature of mankind, the will to improve the abilities and physical strength of human body. As far as we can go back in the past we see that humans have always tried to emulate animals (living in trees like apes, climbing vertical rock faces like insects, flying like birds), to surpass their fellows in agility and strength and surpass themselves. In the transmission anthropology documented the continuity of such desire throughout times, history demonstrated that, according to the fashion of any period, the wish took different forms. Passato e presente had also recourse to anthropology by exploring Le feste di primavera (The Spring Festivals) but the anchor, reluctant to join two different disciplines, privileged an historical account of the celebrations in the order o time, missing thus what is permanent, independent of countries and epochs in the ritual. The fact remains that programmes of this kind, leaving out of consideration the hardships of any particular period, makes history steady, neither good nor bad and bearable. Ancient Greece and Rome interest a limited, regular audience while the majority of Italian TV viewers felt mostly concerned with the 20th and to a lesser extent 21th centuries. The R.A.I. has always avoided topics likely to disturb or worry its spectators, a policy that has become systematic and perceptible in the 2017-18 season. For many years the R.A.I. had given much room, especially in The Great History, to fascism and to its duce, Mussolini. These topics disappeared and were replaced by transmissions dedicated to the building of a democratic Italy after WW II, namely Azionisti, history of the Action Party founded during the war, much involved in the political reconstruction of the country, and, more importantly, Vent’anni di opposizione al fascismo, lotta per la libertà (twenty years of resistance to fascism, fight for liberty), programme that stressed less the open resistance to the dictatorship than a silent non-adhesion resulting in a limited penetration of fascist ideals. Emphasis was put, in this work, on the part played by women who, being not impressed by the cult of strong men, did not appreciate to be considered mere housewives and generators of young fascists. This part of the transmission fitted into a will to enhance the role of women in history. Donne nella prima Guerra (Women in WW I), in the series Speciali storia, followed women who, on the front line, had fed and nursed the Italian soldiers, Rosie e le Americane in Guerra (Rosie and American women in war), in Passato e presente, retold a well known story with a strong emphasis on female participation in the war effort. However the main preoccupation of public opinion was neither the past and present of democracy, nor the improvement of the feminine condition. Since 2013, thousands of Africans, victims of domestic conflicts, racial persecution, famine and unemployment migrated towards Europe, taking the dangerous but shorter itinerary that leads from Libya to southern Italy. Accommodate and feed them was not easy, the state and many individuals did for the best to help the migrants but a good many Italians were frightened; fearing to be engulfed by a foreign invasion and witness the replacement of Christianity by Islam, they claimed a closure of the country. The R.A.I. management thought that a glance at history might contribute to prove these people that their understanding of the situation and their behaviour in response to it were flawed. Roma e I barbari, un’altra storia delle invasioni ( Rome and the barbarians, another history of the invasions), I treni del sole: la migrazione interna degli anni ’50 (The Sun trains: domestic migration in the 1950s) and Invasioni (Invasions), broadcast in three different series, AC. dC, Passato e presente and TV Storia (www.raistoria.rai.it/programmi-nuovi/tv-storia/285/default.aspx), to reach more spectators, formed a coherent whole likely to provide TV audience with a sound idea of migrations. Reference was often made to the barbaric invasion that, in two centuries, had put an end to the Roman Empire and opened a period of instability for Europe. In the first broadcast the arrival of German and Slavonic tribes was put back in its context. Far from being a brutal advancing tide it spread over a long time. In many instances, Romans who, involved in a civil war, needed auxiliaries to seize power called for help from some barbarians, internal conflicts had an important part in the introduction of foreign people in the Empire. With the passing of time both Romans and outsiders changed and got accustomed to the culture of the others, the “Roman” society of the 5th century, being no longer that of the 3d century, was not disrupted by the presence of foreigners who were not hirsute and savage barbarians. The Italians were themselves a people of migrants. In the 19th century poverty constrained thousands of them to leave their country and settle in the U.S.A. or Latin America where, exploited, badly paid and despised, they roughed it. The memory of their hardships, still alive in their families, recalls how difficult it is to gain admittance and run a normal life in a foreign society. 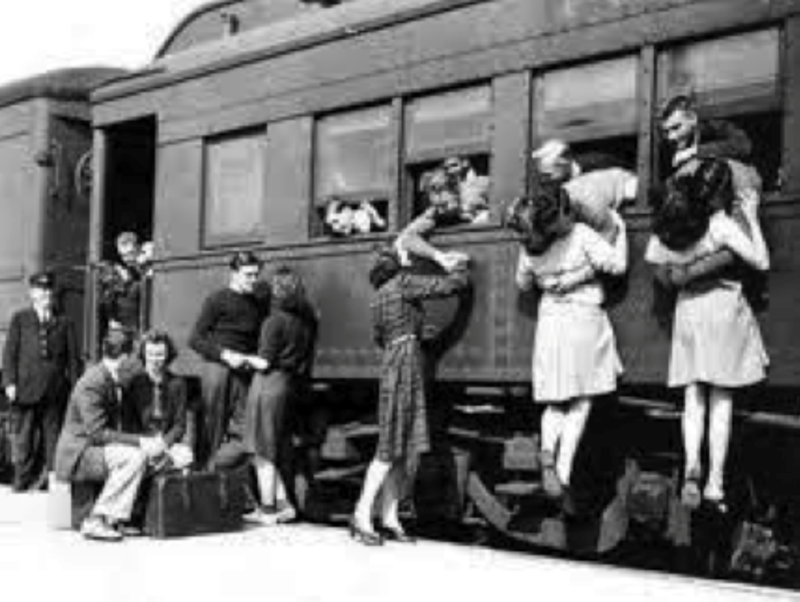 After WW II two million Southerners took the train to northern Italy where the reconstruction, then the economic expansion of the 1950s required unskilled, not demanding workers. Documentaries shot at the beginning of the transmission prove that, initially, they were welcome but, little by little, the northerners reproached them with being noisy, invader, dirty, opposed them to us, and accused them of being women-chasers although they had often come with their wives and families. In the mid 1960s the economic growth began to slow down, many went back to the South, for two decades few Italians worried about immigration. After the “Eastern bloc” had broken up Albanians, who had been prevented to leaving their country under the communist rule, began to go abroad. 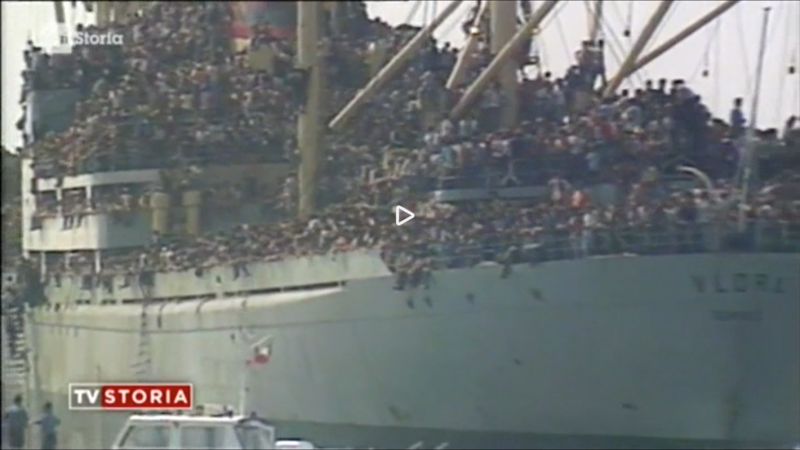 In August 1991 a ship landed 20,000 of them in Bari. 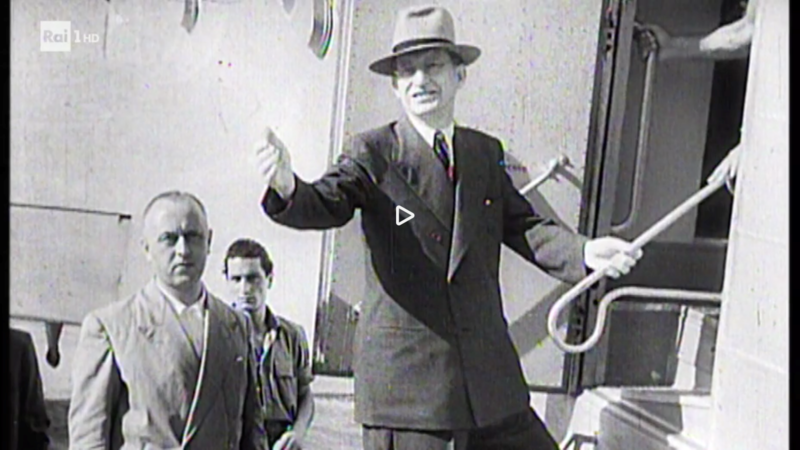 They were all straight with the Italian authorities and many came for a short period, but the long report that TV news dedicated to the arrival of a ship crammed with passengers brought about a wave of panic: Italy was menaced with invasion. Posts consigned on the different social networks often mention this occurrence as an example of the menace impending upon the country. Devised in a matter-of-fact way the three programmes did not propose any conclusion, it was obvious that spectators would react forcibly on the social networks and drew themselves contradictory lessons from what they had seen. Those who “like” are not used to write extended comments; the first remarks are generally critical. The most common objection concerned the irrelevance of historical comparisons: “We cannot compare the migrations of past times with the contemporary ones, if we don’t understand this fact we are likely to make meaningless parallels” or, in a less courteous manner, “It’s a video in which, in less than one minute, we met with mistakes and absurd comparisons”. However the viewers were at pain to explain why trans-historical confrontations were absurd. “Migrations were precious [sic] when travelling wasn’t small matter and every foreigner was something new and a source of knowledge” – “Migrations, today, are too easy and with a form [sic] of ‘security’, if not of ‘intransigent self-security’ [sic] (the incubator of ghettos and theft of territories) because of the easiness of digital communication so different from the relational precariousness of past times”. Beyond confuse reflections emerged a widespread indignation provoked by the inclusion of Italians in the history of international migrations, “A comparison really insulting for the Italians”. When someone noted that most migrants “ believed that they arrived in a country of well-being but were obliged to work. I don’t talk about African migrants but about Italians, ECONOMIC migrants in the U.S.A.” the reaction was quick and harsh: “In order to champion clandestine immigrants you offence millions of our fathers, grand-fathers, great grandfathers who went away to WORK HARD and fed their families, who often never return to their fatherland and died building a skyscraper or digging a mine”. There were two different topics in this inflamed (and as usual overtly polemical) answer: the “exceptionality” of Italians and, in half tone, at the end of the messages an attack against the present immigrants. “Italy has been existing for at least seven hundred years, since Dante’s time. … With all our shortcomings we are Italians, the most “immortal” people that be in the world” – “Italian immigrants, manpower resources as manual workers overexploited to build an America I full expansion” – “What can we hope from the present immigration in which the economic dimension is prevalent whereas the ‘cultural’ one is secondary?” – “Today’s immigrants, generally arrived in a clandestine way, supported by public or international allowance, don’t have any prospect of finding a work” – “They are deserters or former soldiers wanted for murder. When they arrive they can enter Italy even if they don’t have documents and can’t prove that they ran away owing to a war. Nobody is sent back. The smugglers know well the deficiencies of our legislation and take advantage of them to grow richer. Hopeless situation! “Everything foreseeable, everything simple: two hours of never-ending debates then: ‘It’s like that, there’s nothing we can do, accommodating migrants is not easy but we must do it, contacts enrich us”. – “It is the beginning of Italian decline”. Did the R.A.I. managers hoped to make their public think about the present by looking at shifts in population in a historical perspective? According to the posts collected on Facebook the prejudices against contemporary migrants had not weakened, commonplaces and moaning allowed to ignore what the historians had tried to explain. In 1968 youth revolts and claims made by the workers agitated continental Europe on either side of the Iron Curtain. Italy, exceptionally shacked, was a special case. Troubles began earlier than in other countries, in 1967, and affected first traditionally conservative places instead of anti-establishment ones, the university of the traditionalist, catholic Trento, then the catholic university of Milan. After severe confrontations in Rome between students and police in 1968 there were street fights in the autunno caldo, the hot 1969 autumn. Unexpectedly, the 12 December 1969, a bomb attack, killing seventeen people in Milan, piazza Fontana, preluded to a decade of terrorist attempts, the anni di piombo (lead years), often considered the logic consequence of two years of violence. Whereas, in other countries, 1968 had brought forward social reforms, it was unfavourably recorded in Italy but, with the passing of time, it has resurfaced fifty years after. In the two months of April and May 2018, 1968 has been ever-present on the R.A.I. screens with, for instance, no les than nineteen broadcasts in the second week of April. Such profusion offers a revealing example of the problems historians face when they deal with contemporary issues. or leftist students who, struggling for different aims, happened to be involved in the same operation. Nevertheless, the documents evidence the roughness of the conflict, the fury of the students and the confusion of the policemen who were obliged to beat the retreat. Apart from these documents the programmes relating to 1968 can be divided into three sets: Italy, foreign countries and, an aspect characteristic of the Italian culture, the Catholic Church facing 68. There were numerous shorts about student demonstrations or witnesses’ testimonies, but two transmissions deserve special attention. 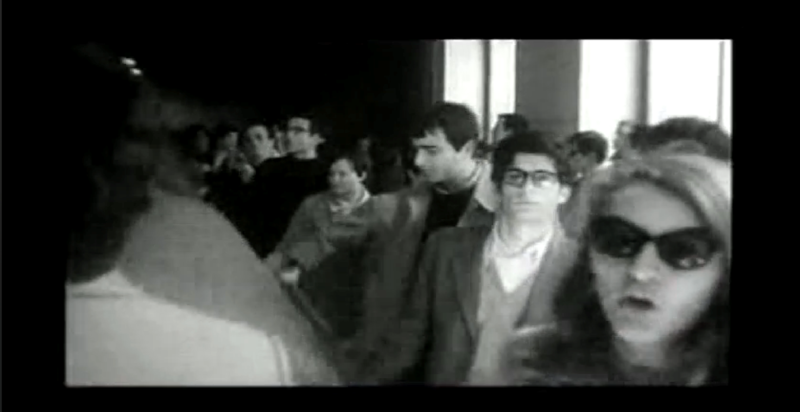 Il 68 in Italia, a transmission of the series Passato e Presente was dedicated to the 1967 troubles and the 1968 explosion. It must be confronted to an archived programme of Il tempo e la storia, put in the air with the same title. If these programmes were not merely different in style, the comparison evidences two opposed ways of tackling a problematical moment. In the former the presenter, Paolo Mieli, who introduced at length the topic and imposed his critical and slightly ironic point of view, laid stress upon the play, uncoordinated and flirtatious side of the occupation of universities. Referring to his own recollections, like many of those who were initially enthusiastic, he insists on the fact that he was quickly disillusioned and, interviewing students he tries to demonstrate how fleeting the memory of the crisis is. 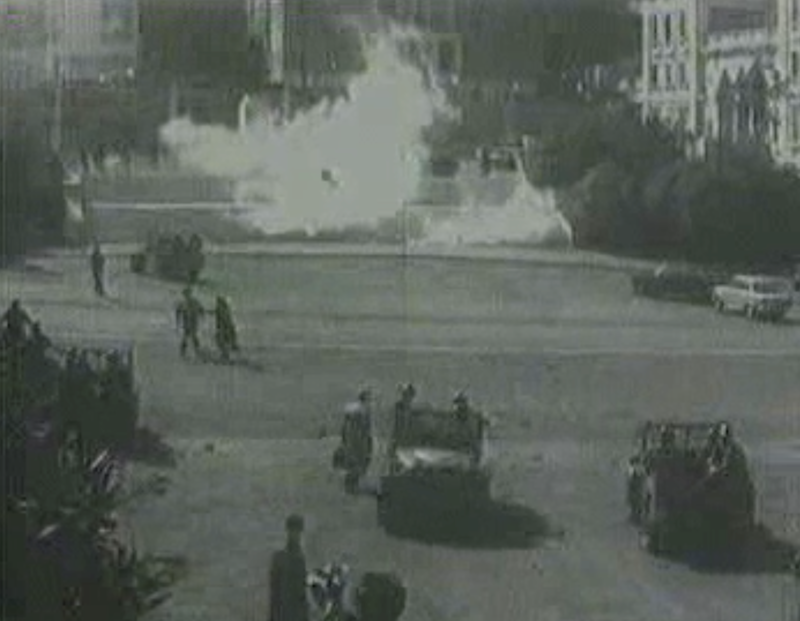 The latter broadcast, instead of judging, offered clues liable to enlighten the context in which street demonstrations and clashes with the police took place; much was said about foreign connections and influences, revolutionary actions in Latin America, Vietnam and revolt of north-American students, Marcuse and anti-psychiatry. Presented in such manner the 1967 turbulence in Trento and Milan, the later extension to most universities looked less surprising and childish or hedonist. Diari 1966-1968. Viaggio attraverso le generazioni, www.lastoriasiamonoi.rai.it/puntate/diari-1966-68/734/default.aspx (Diaries 1966-1968. Journey throughout generations) in the series La storia siamo noi (We are history) was the most original broadcast on the period. 1968 has often been interpreted as a conflict between an old generation that, having been affected by fascism, WWII and a difficult reconstruction, beware of the future and a young one, brought up in the “affluent society” of the 1950s and 1960s, enthusiastic about the time to come. During the troubled days many kept a private diary. The broadcast mentioned above intertwines, week after week, the diaries of a Torino housewife and of five young, three students and two workers, living in different towns. Initially the young refer to Marcuse, a mandatory reading according to one girl, question the idea of revolution and ponder about their own future. The housewife worries about her son involved in demonstrations for Vietnam and fears that his name be cited in newspapers. At the end of the winter scepticism comes out in the provinces, there are too many useless never-ending discussions, Italians care much for soccer than for university problems, the Turin lady keeps up anxiously with the arrest of students in Pisa and Florence, her son could be apprehended. The cleverer comments appear in the diary of the Florentine girl, a student; at variance with her parents, she conceals her militant activities; she follows attentively international events, mentions Che Guevara, Ho-Chi-Min, is indignant at the lies of media, at the American policy in Vietnam, later at the Soviet invasion of Czechoslovakia, hopes for a revolution provided it be not Marxist. The Battle of Valle Giulia overwhelms the middle-aged lady; she feels lonely, does not understand her son and his fellows who endlessly talk of self-fulfilment. Limited though it is, the sample gives a viewpoint on the generation gap as well on the state of mind of young people alternately enthusiast, uneasy, moved, wanting a change without knowing how it could occur. 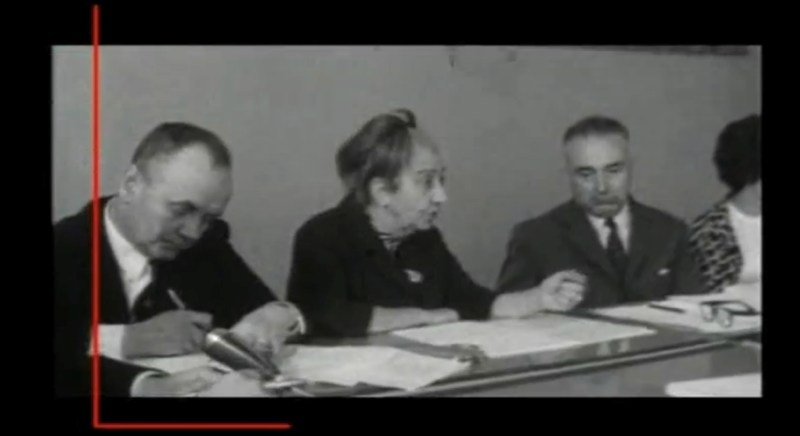 Little was broadcast on the sedition in Western Europe, much more on the “communist bloc” with Il 68 nei paesi dell’est europeo (1968 in the East European countries), issued in Passato e Presente, which stressed the confusion between anti-Semitism and anti-soviet feelings in Poland and the nationalist aspect of student demonstrations in the six republics which together form Yugoslavia. Praga 68 contrasted the calm and discipline of the local population with the intervention in Czechoslovakia of 500,000 soldiers of the other “socialist” countries, the biggest army in campaign since WW II, and stigmatised the weak protestations of the Italian communist party. TV Storia overvalued the importance of Chinese Red Guards’ protests in its parallel between the troubles in the U.S.A., China and Europe. The student revolt, at the Catholic university of Milan had much shocked Italian public opinion, all the more that it coincided with signs of dissent in some sectors of the Church, some commentators went so far as include these incidents among the origins of the 68 crisis. Passato e Presente looked into the case of Don Giussani fondatore of comunione e librazione (Don Giussani founder of communion and liberation) as well as into Paolo VI e i preti ribelli del 68 (Paul VI and the rebellious priests of 68), La storia siamo noi put in the air Don Lorenzo Milani. Un ribelle ubbidiente (Don Lorenzo Milani, an obedient rebellious). After the council Vatican II a few priests, while claiming their obedience to the pope expressed opinions that the Church could not accept. Don Giussani maintained that in Latin America the Catholics should support the non-violent actions of the poor exploited by the rich. Don Milani criticized forcibly an elitist education, out of the poor’s reach, advised young Americans to recourse to the conscience clause and refuse to go to Vietnam and approved the occupation of the Milan university. In Il 68 in Italia www.raistoria.rai.it/articoli-programma-puntate/il-68-in-italia/25792/default.aspx, a broadcast of Il tempo e la storia quoted above, an historian said: “68 for the Church? A mock conflict that led nowhere”. He should have added that, for a good many faithful, the “obedient rebellion” pointed out an overthrow of all traditional values, as appeared in the virulent posts sent to the RAI site supplementing Don Giussani fondatore of comunione e librazione: “The founder of a sect”, “A deceitful Christian”, “The wreck of Italy”, barely balanced by: “His life showed us the living presence of Christ today. More than the religious crisis, student and workers demonstrations provided the bloggers with an ideal pretext for controversies. Few defended the students, the dominant trend was bluntly hostile: “Who was responsible for the 68? Intellectuals? No. Rather vitiated daddy’s boys, only good to criticize, congenital idlers, useless in all respects”. – “These years were and still are the years of phone calls, stadium seats and idle clerks.” – There were harsh attacks against the strikers and timid speeches for the defence. At 5 a.m., the 12 April, a blogger who put a crucifix on top of his message wrote: “Luckily enough I was only three years old in 1968. Hearing today what they said we pity these people, flies of the Capital who claimed that they would change the world (nobody knows how, where, why, when). The workers looked down on them (at least my father, communist worker, despised these loafers who did not want to work). They were only good for never-ending talks”. The post was warmly received, many went on, with the same kind of insulting words: “Those who protested were a minority of loafers, lazybones and quarrelsome. They were right and they are still the industrialists who shut down in Italy and start up abroad”. – “We are going backwards with the consent of the trade-unions”. Answers were weak: “Nevertheless, there were worker actions that brought an improvement of labour conditions”. – “For better or for worse these years have modified the world”. – “What has been modified is that we no longer talk about the working class, the majority of young people do not commit themselves to politics or social action because they are slaves to short term contracts that do not allow to have plans for the future. In that case, show concern about social conflicts …”. The R.A.I. had tempted to offer a well balanced account of the years 1967-69, instead of merely relating what had happened with the passing of days, it had put in the air contemporary films and TV videos, testimonies and opinions expressed during the events. The dialogs of the death recorded on the RAI sites behind the broadcasts we have mentioned bear no trace of these programmes, the bloggers hastily expressed their pre-existent opinion about the period, their misspellings, some incoherent sentences prove that they were eager to give their point of view, be it only by saying that they agreed with what had already been affirmed. In general, not only where 1968 is concerned, the bloggers don not comment what they have seen, there are at times debates about the style or behaviour of a presenter, seldom about the topic that has been handled. Yet the audience statistics are good, transmissions like Ulysses or Passato e Presente lease a numerous, stable and apparently satisfied public. At school or in front of the TV set, history is not brought up for discussion.